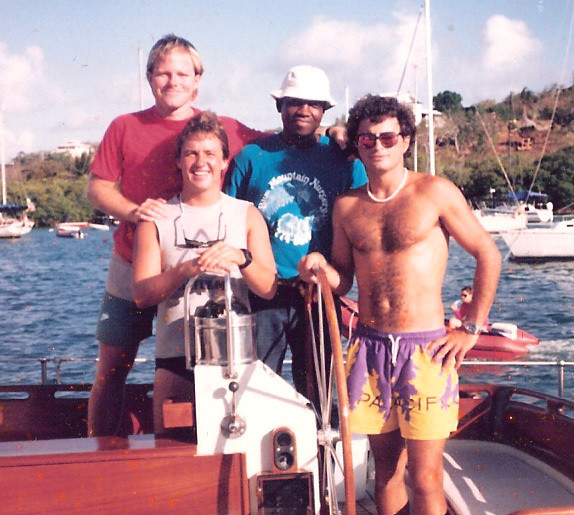 Drifting through many unique jobs and adventures after college, Chuck found his direction in life while working as a crew member on a 51-foot sailboat crossing the Atlantic Ocean. Following the trip, he earned a masters degree in communications and professional accreditation and began a series of career moves that have given him great insight into the workings of organizations, from community groups to government organizations and Fortune 500 corporations. Chuck received a Virginia Press Association award for weekly newspaper column writing for his humor column in the Chesterfield Observer, and he has penned frequent humor pieces for publications such as Home Style, WorkMagazine, Richmond Magazine, Richmond Bride, Welcome Inc., and others. His writing ties into his speaking where he tells funny stories of life adventures and shares insights into rediscovering pleasure in life and finding success in work. In addition, Chuck was a finalist in the Richmond-area "Last Comedian Standing" competition, sponsored by the Richmond Funny Bone and Q-94. Nose-Sucker Thingees, Weeds Whacking Back & Cats in the Bathtub: Does Life Get Any Better? A Dad’s Work is Never Clear: Tales of Love, Marriage, Parenting and Ice Cream. Lots of Ice Cream. Executive speechwriter and communications professional with Reynolds Metals Co.
Executive speechwriter and communications professional with Capital One Financial Corp.
Chuck and Stacy Hansen have two adult children, Daniel and Madison, and live in beautiful Midlothian, Va.